Because of his fascination with the paranormal, a police officer on the brink of retirement is asked to investigate a series of strange deaths happening doors apart from each other. There he meets a famed paranormal investigator who is looking into a disappearance in the area as well. Together, with another paranormal enthusiast, they look into these strange incidents and uncover a terrifying connection. After a year of freaking out audiences and winning awards on the festival circuit Terrified is currently enjoying the afterlife on Shudder. Normally I would not pay too much mind to remake news but I am terribly in love with Demian's film. 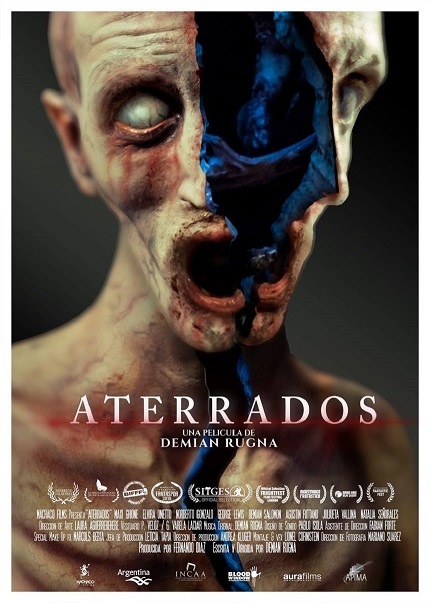 I would cry foul at the thought of a remake but hell, it's GDT, and anything that Rugna can gleam from the Latin American master of horror will be invaluable for his career in the future! We will await the official announcement from Fox.